Our manufacturing set up forms the backbone of our company we Industrial Safety has its own three manufacturing and production units located at Faisalabad-PAKISTAN. All these facilities are equipped with latest machines and tools to deliver the perfect quality products. Our manufacturing teams comprise accomplished specialists with decades of experience and commitment to provide our clients with superior level of products. We follow stringent quality checks at all the stages of production, and installation is carried out on site by the manufacturing team, thus ensuring the continuation of quality and care. • Our total manufacturing setup can be divided in three Units and each unit running the many departments. 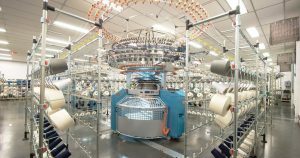 Cloth Assessment & stock department is primary responsible for raw cloth stock and its assessment for time either it will need extremely in future production or not. Cutting & Designing Department is famous to cutting and designing of the raw cloths into appropriate shapes without stitching of the gloves with help of hydraulic machines and where some gloves cutter specialist provide their services. Stitching Department is famous for stitching of the gloves with help of trained team to convert into absolute stitched gloves. 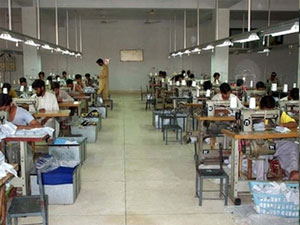 Inspection Department is keep take the responsibility to examination of the stitched gloves for confident products and more its inspection period can carry two or three phase. After all inspection and satisfaction these gloves bundles simply transferred to pressing department. Pressing Department is responsible for pressing the gloves help pressing heaters and provide the shining into the whole products. Packing Department look care about the packing of gloves into poly bags after this process these little ploy bag bundles are again packed into Cartons. Laboratory is commonly used for experiments and comparison of the chemical on gloves whether which chemical is best for these gloves and promotes high standards of practice in the workplace. 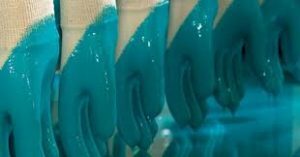 Dipping Plants is specially designed for development of the Nitrile Coated Gloves. Our firm contains two Nitrile Coated dip plants. The duties of these plants are only dry to the chemical which is coated on the gloves after these gloves consider to inspection period and simply transferred to the packing department which is described above.